Masters Champions League or MCL, a tournament for the retired players, has found itself in legal trouble as the Federation of International Cricketer’s Association (FICA) threatened to pursue legal action over non-payment of the dues following the first season held earlier this year. MCL is a T20 tournament only for the retired ones and it was intended to be contested over the next two years too, but now that the FICA have threatened to take action on behalf of up to 50 players over “the systematic non-payment of players.” They also questioned the integrity of the tournament organisers, potentially turning the MCL into a one-season affair. The GM Sports, headed by Zafar Shah confirmed the players’ intentions to sue the organisers over unpaid fees. FICA executive chairman Tony Irish has also called “an international dispute resolution body and contract enforcement mechanism in cricket." Also Read: Masters Champions League: Is it prompting early retirement of international players? 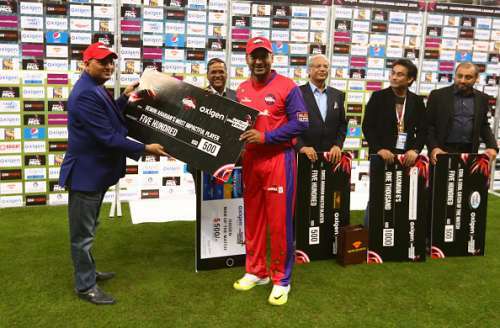 Complaints about non-payment from players began in Dubai as soon as they gathered for the inaugural match. They were promised payment on arrival, but it came to no effect and they threatened to pull out of matches, only for the agreement to be reached at the very last minute. Three of the six teams that were involved in the first tournament had no clear ownership structure, with no franchise papers signed. The terms of the contracts of the players say that GM Sports, organisers of the tournament had guaranteed to underwrite all agreements.